Specially curated for the colour brave, we’ve collaborated with lighting designer Kerrie Mould to design a pop-up exhibition space to share our collective vision of unique design that reflects a love of colour, texture and print. After the successful launch of our first collection of interior products in September, we are back with custom wallpapers, pendant lighting and printed textiles curated with local artist Claire Lefebvre’s abstract painting and a range of reimagined furniture pieces. 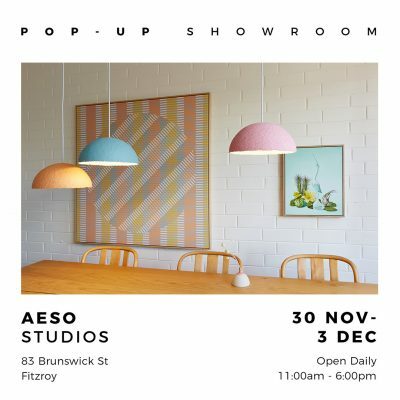 Open to the public for four days only, the showroom provides stylists, interior designers and lovers of design the chance to preview new products, pre-order and purchase limited editions and one-off items.